A Copenaghen hanno intenzione di costruire un inceneritore a due passi dalla città e di costruirci sopra uno ski resort con ben tre piste. 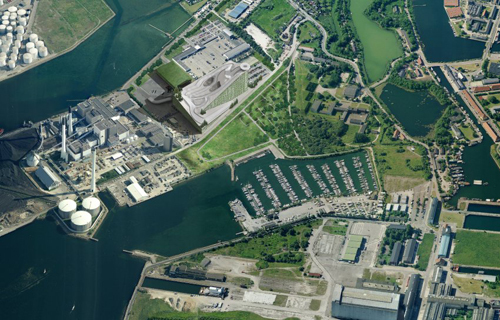 Copenhagen's Amagerforbraending plant will cost $575-million (U.S.) and will burn up to 560,000 tons of trash annually, generating enough energy to heat 400,000 households, Mr. Zahle said. 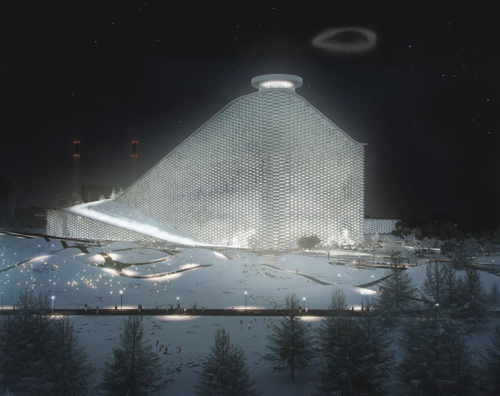 It will also be the largest building in the capital, as visible from Copenhagen's harbour as the national opera house.